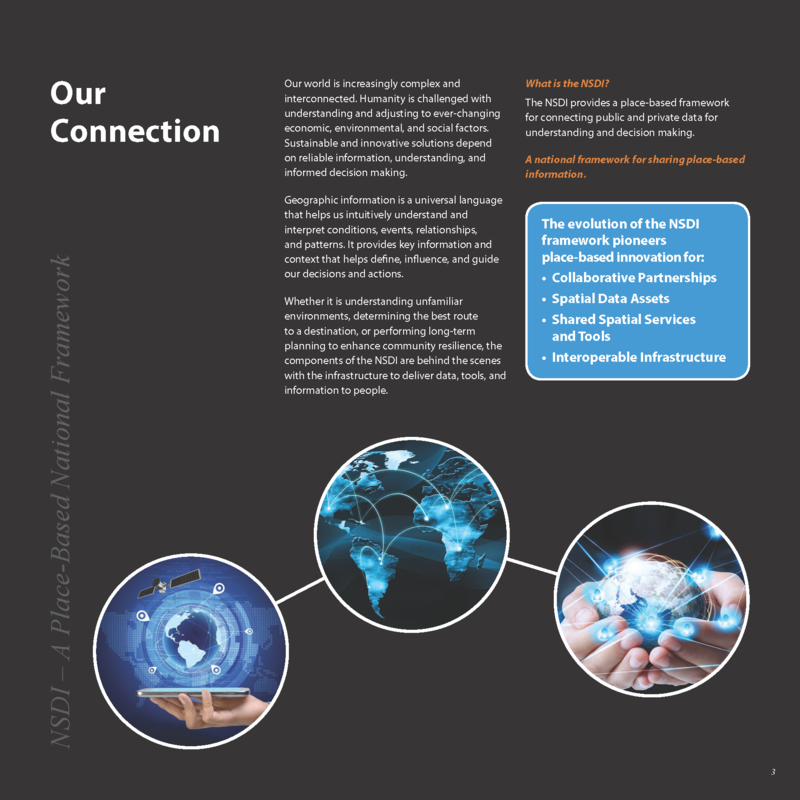 For the past two decades the FGDC has provided leadership in fostering collaboration and developing partnerships for the advancement the NSDI. 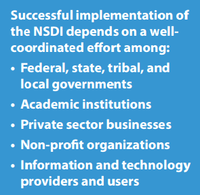 An effective NSDI requires developing and utilizing partnerships that promote collaboration, cost-effectiveness, and interoperable solutions. 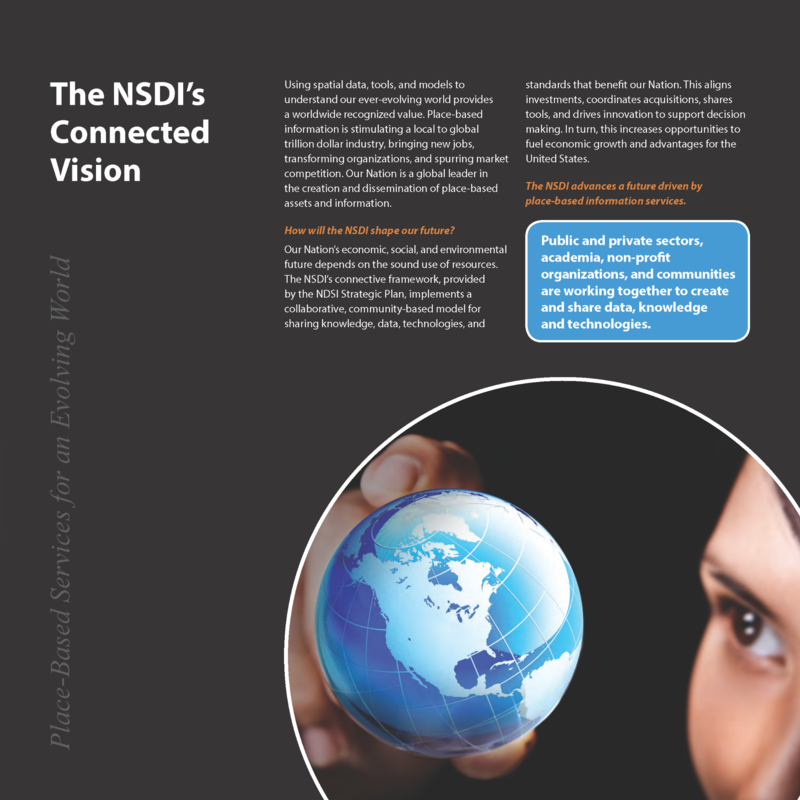 These components are the key underpinnings of the NSDI. 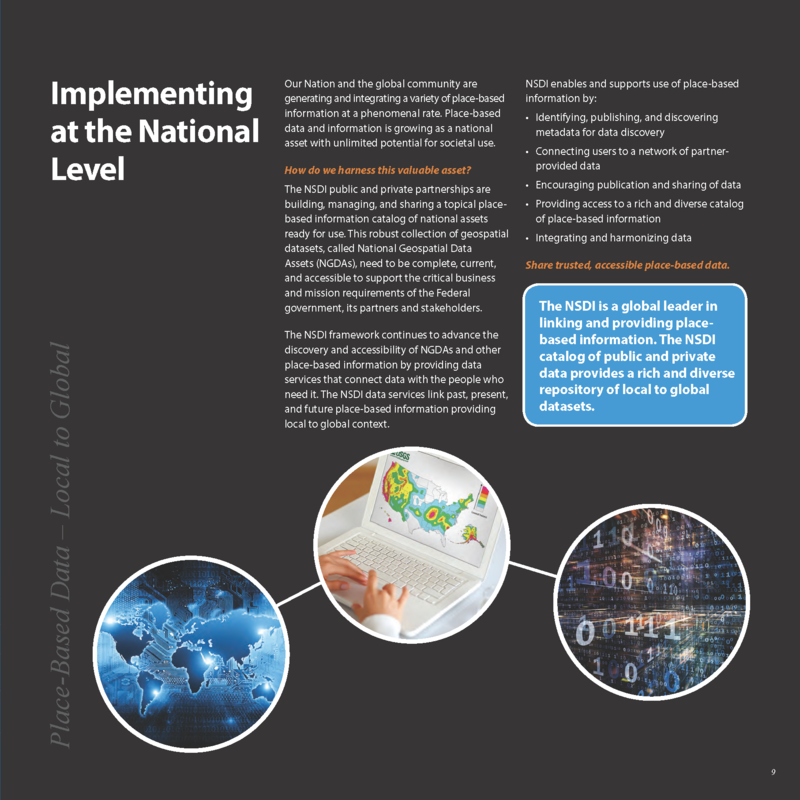 The FGDC works collaboratively with federal, state, tribal, and local governments, non-Federal partners, communities, constituents, and professional bodies providing the enabling foundation of standards, data catalogs, partnerships, and tools that make up the NSDI. Federal - At the federal level, FGDC enables coordination among the federal agencies through the Steering Committee, Coordination Group and its working groups and subcommittees. 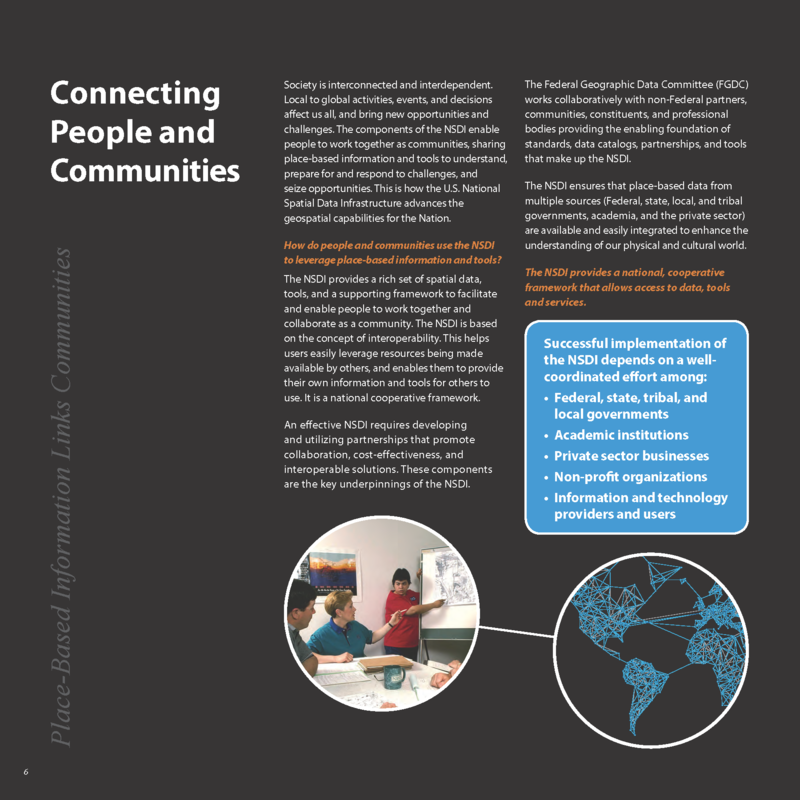 Learn more about the FGDC organization and how each component of the organization works collaboratively towards the advancement of the NSDI. 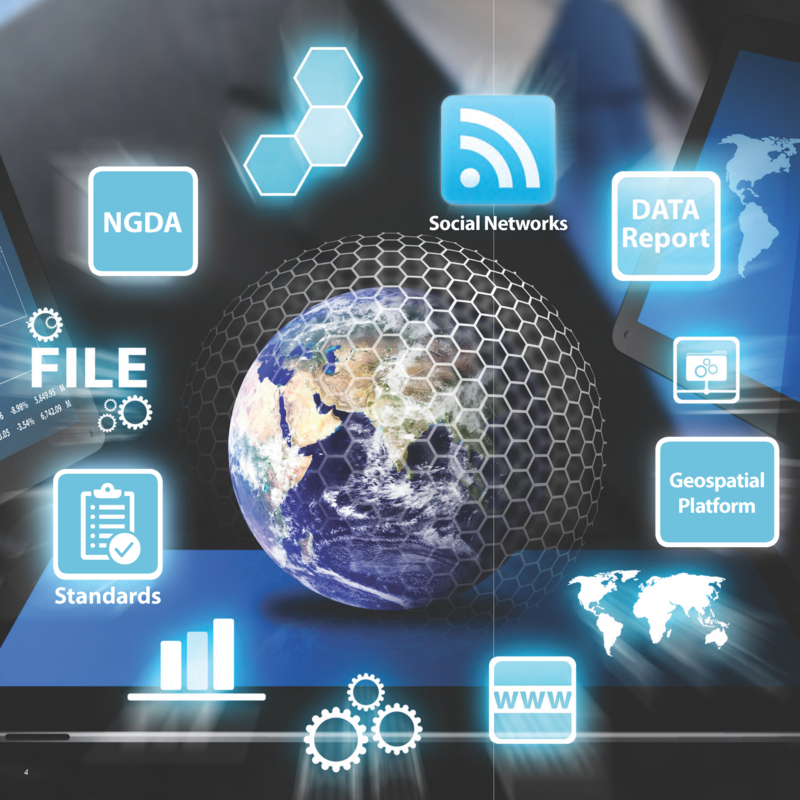 Partners - One of the primary ways that the FGDC collaborates with its broad network of partners is through the National Geospatial Advisory Committee (NGAC). 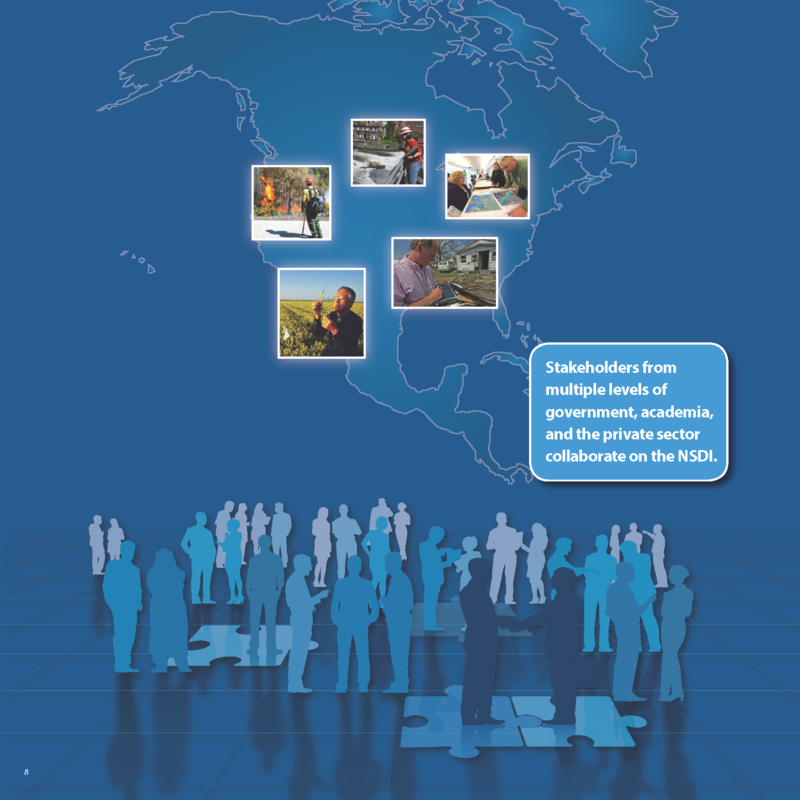 The Department of the Interior (DOI) established the NGAC in 2008 as a means to improve coordination and governance of national geospatial activities. 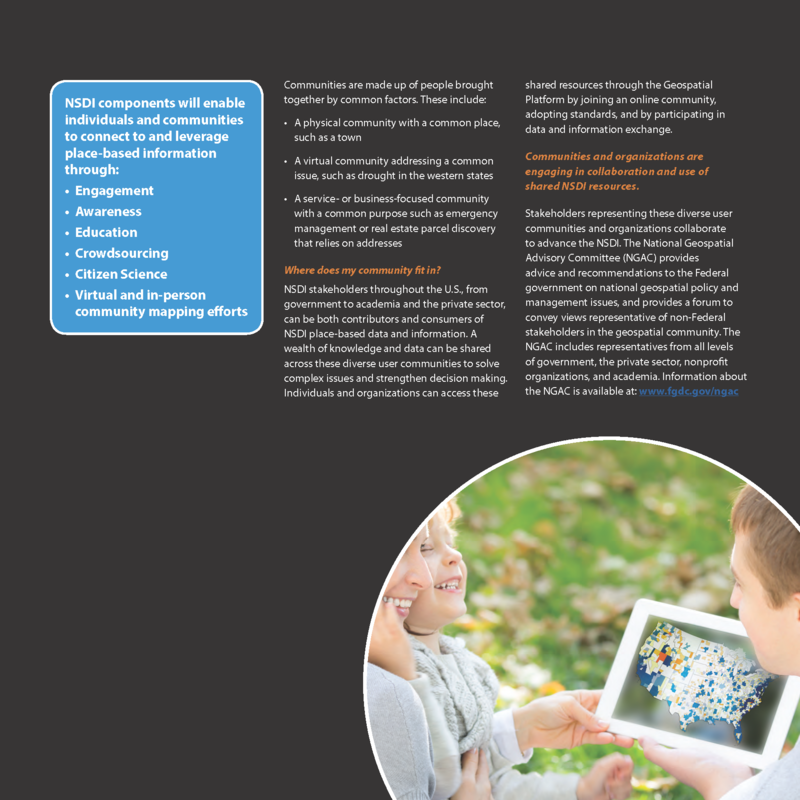 The NGAC provides advice and recommendations to the FGDC and provides a forum to convey views representative of partners in the geospatial community. The FGDC also has many official collaborating partners. 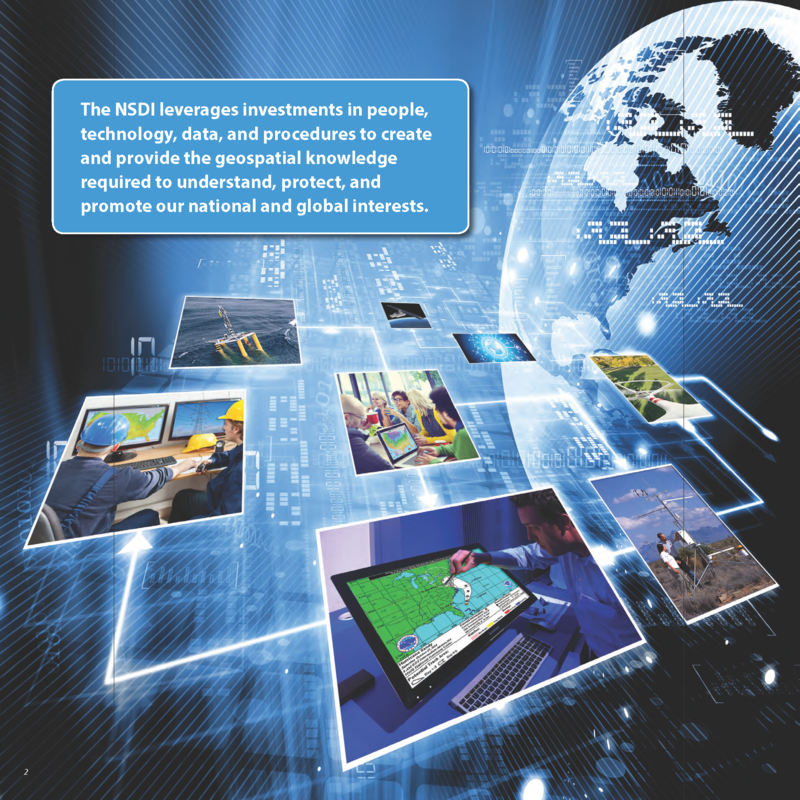 International - The FGDC supports international Spatial Data Infrastructure (SDI) development. Circular A-16 encourages the FGDC to participate in building the Global Spatial Data Infrastructure (GSDI) in addition to building the National Spatial Data Infrastructure (NSDI). FGDC is actively engaged with Group on Earth Observations (GEO) & Global Earth Observations System of Systems (GEOSS) and United Nations Committee of Experts on Global Geospatial Information Management (UN-GGIM). Learn more about FGDC's international activities.